Although race is void of biological foundation, it has a profound social reality. All too apparent are disparities in health and welfare. Despite all the evidence indicating that "race" has no biological or evolutionary meaning, the biological-race concept continues to gain strength today in science and society, and it is reinforced by those who design and market DNA-based technologies. Race is used more and more in forensics, medicine and the genetic-ancestry business. Tattersall and DeSalle confront those industries head on and in no uncertain terms, arguing that "race-based medicine" and "raced-based genomics" are deeply flawed. Individuals fall ill, not populations. Belonging to any socioculturally defined race is a poor predictor of an individual's genes, and one's genes a poor predictor of one's health. Jan Sapp, "Race Finished: Book Review," American Scientist, April-May, 2012. http://www.americanscientist.org/bookshelf/pub/race-finished. 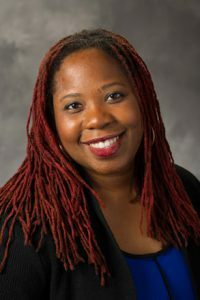 Chinyere Osuji is an Assistant Professor of Sociology at Rutgers University with affiliations in Africana Studies and Latin American and Latino studies. Before coming to Rutgers-Camden, she was a post-doctoral fellow at the University of Pennsylvania Center for Africana Studies. Chinyere conducts research on the meaning that social actors give to racial and ethnic boundaries. Her first book, Boundaries of Love: Interracial Marriage and the Meaning of Race (April 2019, NYU Press) takes a novel approach to comparing race and ethnicity across societies by examining the experiences of interracial couples. Boundaries of Love relies on 103 qualitative interviews that she conducted with 52 black-white couples between 2008 and 2012 in Los Angeles and Rio de Janeiro (in Portuguese). Through using what she calls a critical constructionist approach, Boundaries of Love compares the experiences of couples involving black men and white women with those of black women with white men in these two diverse, multicultural settings. This book reveals how non-elites in these two post-Atlantic slavery societies employ cultural repertoires that push against, bridge over, blur, dismantle or reproduce ethnoracial boundaries. Chinyere’s next project will employ the critical constructionist approach to nursing and healthcare. In addition, she will be examining the lives of African immigrants, focusing on how they form community without being spatially concentrated.